Insurance Industry, Agile Solutions, Technological Solutions. The insurance industry faces challenges at different levels as they expand their operations to global scales. They have to manage the regulatory norms of the different markets, customer relations, competition and other market challenges. The internet has brought information to the fingertips and financial experts and end consumers, giving their first-hand experience has made prospective customers very savvy and increased transparency. 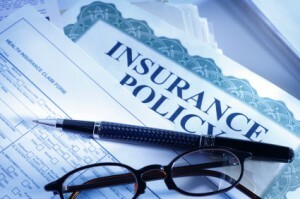 We assist insurance companies to take advantage of this heightened customer interaction with technology by enabling them to communicate about their products, opinions regarding insurance and mitigating risks through one-on-one communications and tools that will help prospective customers calculate returns to take informed decisions. From the perspective of administration and operations, we have highly functional solutions that will enable insurance companies to streamline their business processes and improve data management process. We offer agile solutions that will enable your business to leverage the mobile and desktop internet platforms to deliver solutions for internal management and external interaction with partners, clients and customers. Our developers will ensure that you receive the highest ROI for your investment on technological solutions by creating solutions that will simplify operations and safeguard privacy.